When a patient appears in the emergency room with suspected influenza, timely treatment can be the difference between life and death. However, it’s not always easy to know with patients actually are infected with the flu, and which merely have flu-like symptoms. A new study hopes to help solve that problem. A nationwide team of investigators has developed a new clinical decision guideline that gives emergency department physicians a simple method to determine whether or not a potential flu case warrants testing. 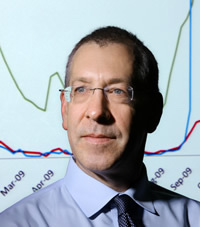 “Historically, suboptimal performance of immunoassay-based rapid influenza tests, the primary tools used in EDs for diagnosis, coupled with poor sensitivity of clinician diagnosis resulted in substantial under-treatment of patients with influenza based on CDC recommendations,” wrote corresponding author Richard E. Rothman, MD, PhD, Johns Hopkins University School of Medicine, and colleagues. New molecular-based influenza diagnostic assays, with sensitivities of greater than 90%, are available for use, but have yet to be embraced in large numbers. Rothman and colleagues wrote that a likely cause is the lack of solid clinical decision guidelines. In an effort to create a highly accurate guideline, Rothman and colleagues enrolled 1941 patients in a prospective cohort study for the 2013-2014 flu season. Each of the enrollees was an adult who met the Centers for Disease Control and Prevention’s 2013 qualifications to receive antiviral therapy. Each of the patients was tested for influenza using polymerase chain reaction (PCR) tests—80% of patients were included in the derivation set, and the remaining 20% were used as the validation set. A total of 183 (9.4%) of patients tested positive for the flu. The researchers then used the study data to devise a point system to determine whether a patient warranted testing. Their final system was scored based on a number of common presenting symptoms: a new or increased cough gave the patient 2 points, a headache was worth 1 point, subjective fever also earned a point, and triage temperature above 100.4°F also earned a point. Any patients with a score of 3 or above ought to be tested for the flu, according to the clinical decision guideline (CDG). Rothman and colleagues said their system met their goal of 90% sensitivity. “The CDG had a sensitivity and specificity of 94.1% and 36.6% in the derivation set, and 91.5% and 34.6% in the validation set, respectively,” they wrote. The authors noted that their system is much more sensitive than the method of testing any patient who presents with influenza-like illness. It is also more sensitive than other guidelines developed in the past few years, though the new CDG’s specificity remains moderate. They write that the new CDG could still result in over-testing, but to a lesser degree. “A CDG that leads to over-testing using an accurate molecular-based assay may be acceptable for use by ED clinicians given the potential downstream complications and costs of missing influenza in a population that is known to be impacted by influenza-related complications,” they wrote. They write that additional study is needed both to validate the CDG and to gauge its cost-effectiveness. The study, “Derivation and Validation of a Clinical Decision Guideline for Influenza Testing in Four US Emergency Departments,” was published in Clinical Infectious Diseases.